These dainty rings make such a stunning fashion statement! 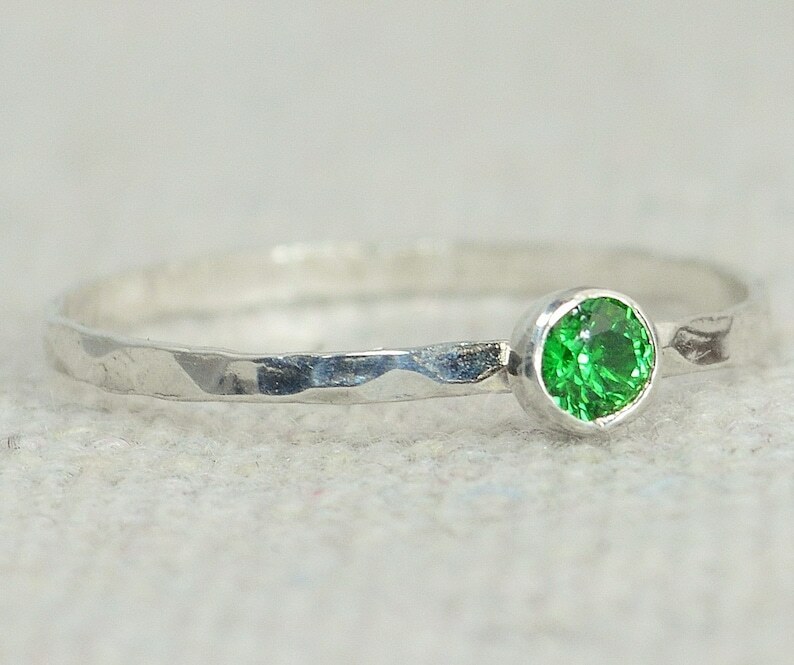 This thin silver band is set with a dainty 3mm Emerald Green conflict free cubic zircon - May's birthstone! These rings are beautifully worn alone or worn together in clusters. It goes well worn alone, or stacked with other thin rings. 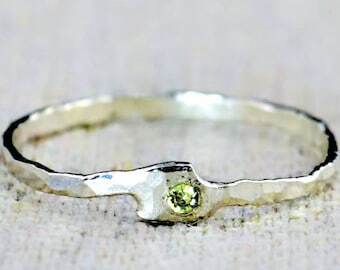 The CZ adds extra sparkles to this lovely ring.